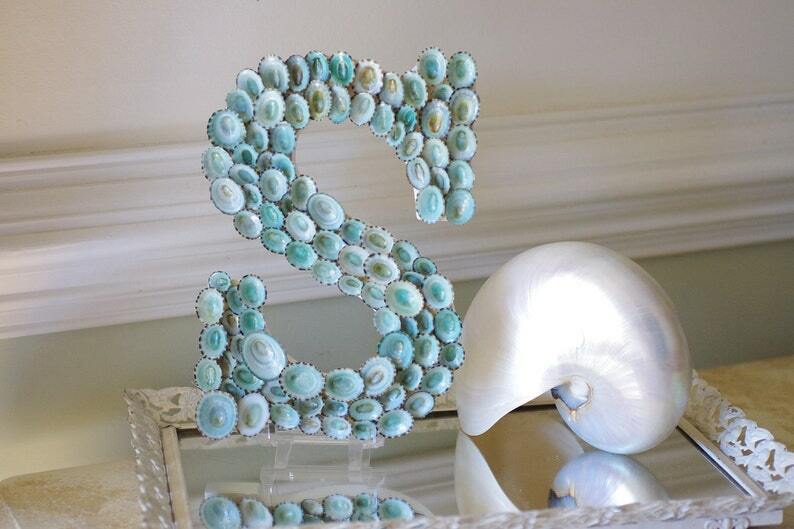 This beautiful limpet shell letter would look great on your mantel or hang it on the wall. And I can make this in any letter you like. The base is wooden and is painted white. It sits up by itself and there is also a small keyhole in the back for hanging on the wall. I have covered the letter with tiny limpet shells. These are one of my favorite shells, probably for their beautiful color. They are permanently attached with industrial strength adhesive. I love the softness of these beautiful shells. Be sure to let me know what letter you would like for this transaction at checkout. Allow 5-7 business days for creating your special letter. LOVE my letter 'T'! Beautiful workmanship and great attention to detail! Awesome shells that are used to create this! You need to get your letter, you won't be sorry! extremely pleased! exactly like picture!